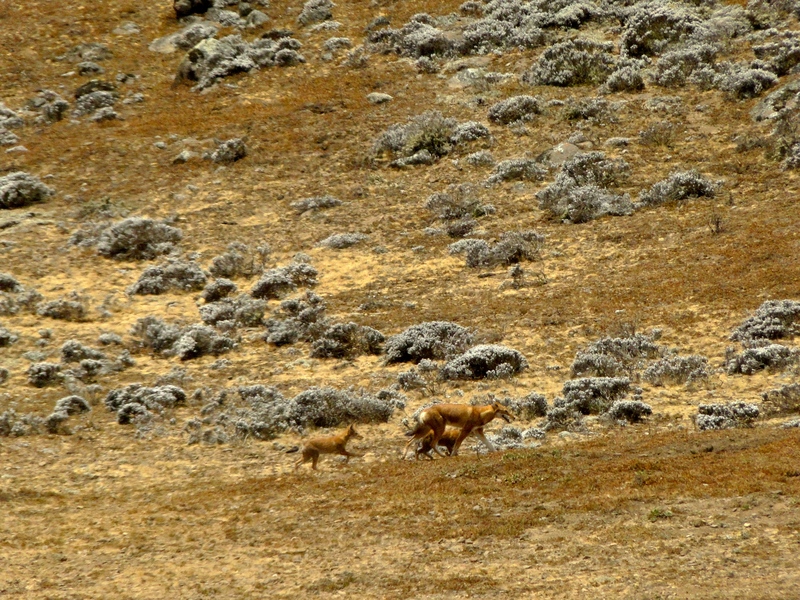 The Bale Mountains National Park is famous in Ethiopia for its unique biodiversity, being the only remaining afroalpine environment in the whole of Africa and the home of the rare Ethiopian wolf, a species of canine whose very existence is now under threat. However, for many international visitors, the Bale Mountains are being overshadowed by better known sites such as Lalibela and Lake Tana, or the tribes of the southern Omo Valley. 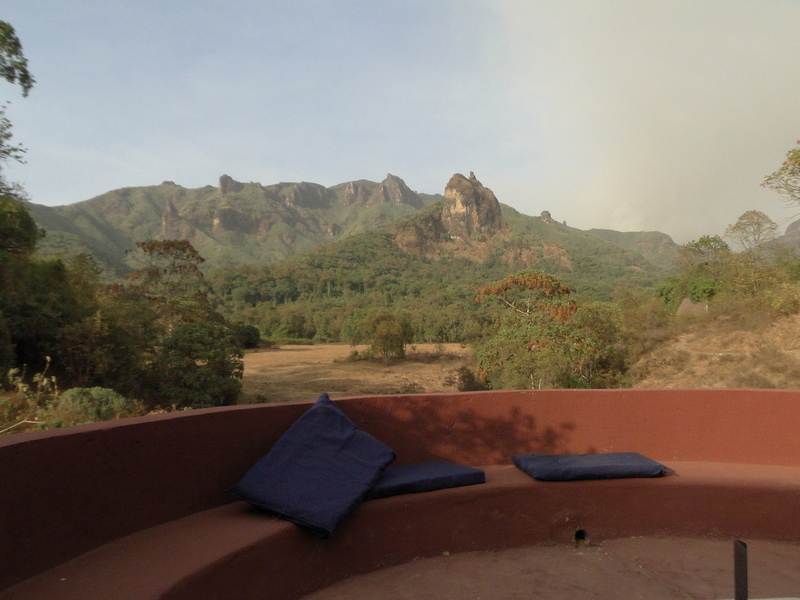 We took the opportunity of the school mid-term break to explore the Bale Mountains and stay in the new eco-lodge everybody in Addis is talking about. Before this new lodge opened just over a year ago, visitors to the region had limited choice of accomodation. 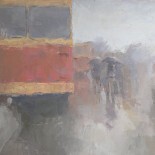 They could choose to brave the freezing nights of the Sanetti plateau, the 4000 metre-high plateau so typical of the Bale Mountains and camp on site, or stay in the Dinsho lodge or the Wabe Shebelle hotel in Goba. None of these options provide sufficient comfort to want to stay for more than a couple of nights. The Dinsho lodge, located in the National Park headquarters where visitors have to stop to purchase the entry ticket to the Park, is completely overpriced for the rudimentary level of comfort on offer. The rooms are extremely basic, the showers and toilets are outside and no hot water is provided. Crossing the gloomy dining room in the middle of the night in pyjamas to reach the outdoor bathroom is not particularly enticing, certainly not for $60 a night. We nevertheless stayed there for one night to break the nine-hour drive to the Bale Mountain lodge. The Wabe Shebelle hotel in Goba, a 45 minutes drive away from Dinsho on the way to Sanetti, is a far better option. It used to be one of Ethiopia’s luxury tourist hotels back in the 1960s when Emperor Haile Selassié had great plans to open up the country. The hotel has kept its vintage look and feel, which makes it interesting, and provides en-suite rooms with hot water. We stopped there for lunch on the way back, but if I had to do it again, I would spend the first night in the Wabe Shebelle hotel rather than the dishevelled Dinsho Lodge. On the positive side, it enabled us to spend the evening in the company of Eric and Neville who respectively work with the Ethiopian Wolf Conservation Programme (EWCP) and manage the Bale Mountains National Park. We had a very friendly impromptu dinner and watched the Rugby game in Neville’s homely wooden house a short walk away from the Dinsho lodge. The new Bale Mountain lodge is located on the other side of the Sanetti plateau, down in the Harenna forest, so another 3 hour drive from Dinsho and Goba. To reach it, visitors have to climb up to the plateau, cross it entirely (a 60 kms drive), and go back down the Harenna escarpment on the other side, driving down from 4000 metres to 2,500 in as little as 10 kilometres. There hidden in the middle of a lush forest is the new lodge. Crossing the Sanetti plateau in the morning rather than later in the day was definitely a good idea as it gave us the time we needed to stop at leisure and see the wildlife. We were lucking enough to see a number of wolves including a mother and babies, and to spot a Nyala, an owl, a few hares as well as birds of pray. Before the Lodge was built, the Harenna forest was practically unknown to visitors. It was too long a drive to reach it from Goba in a single day; the road was difficult, and above all there was no place to stop to relax. The new lodge is opening up the area, providing an unprecedented opportunity to explore this remote region. The owners of the Lodge, Guy and Yvonne, are working closely with the local community to improve their livelihood through sustainable tourism. They help the community organise activities such as bird watching, horse-riding, forest walks, coffee picking and honey harvesting (a unique type of honey is produced in the Harenna forest thanks to the still preserved bio-diversity of the area). The wildlife in the surrounding forest is just as fascinating with monkeys, bushbucks, a great variety of birds as well as a family of lions and leopards (although they are harder to spot). Beside the many activities, just staying at the Lodge is a treat. Everything from the bedrooms in individual tukuls to the common area was designed for guests to feel comfortable, which is not a given in Ethiopia where only a handful of places can offer that level of comfort. It is upmarket, but food as well as drinks are included in the package. Dinner time is particularly pleasant with guests gathering for a drink at about 7pm around the outdoor fire, before having dinner in the company of the hosts. While staying there, we met Philipp Briggs and his wife, who are currently working on updating the Bradt guide to Ethiopia, the reference guide we’ve all used while travelling around this amazing country. I have been using the 2010 edition of the guide, but I have witnessed a lot of changes since, so it is ready for a full update! Unfortunately, the day we drove back from the lodge, we saw a huge fire which was spreading fast on the Harenna escarpment burning huge areas of scrubland before reaching the Sanetti plateau. On the plateau itself, another fire had started very close to Tuludimtu, Bale Mountains’s peak point at 4,300 metres and Ethiopia’s second highest peak after Ras Dashen in the Simien mountains. Helicopters were needed to extinguish the fire, but as much as we could see, nothing was being done to put it out. I have learnt since that one of the National Park’s technical officers, Biniyam Admassu, lost his life while trying to fight the fire. He and his team were hit by flames due to a sudden wind change. His colleagues, who suffered burns, managed to escape in time but he wasn’t as lucky. 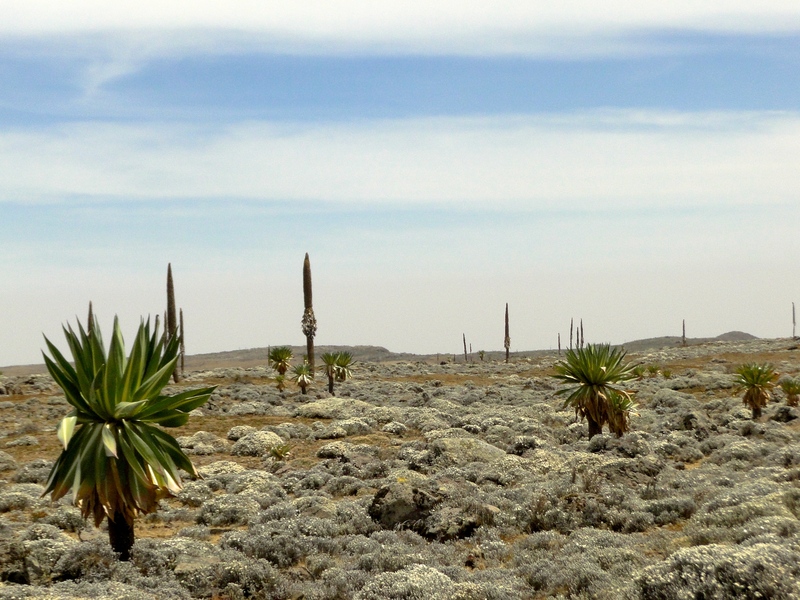 Today, the Bale Mountains National Park is in mourning. 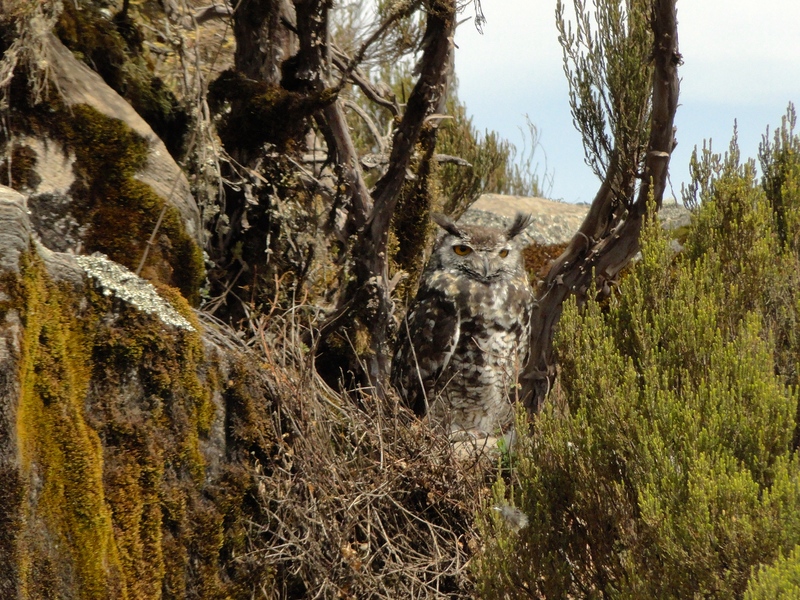 This entry was posted on March 11, 2015 by Salambo in Bale Mountains and tagged afro-alpine environment, Bale Mountain lodge, Bale Mountains, Bale Mountains national Park, Bradt guide to Ethiopia, dinsho lodge, Ethiopia, ethiopian wolf, ethiopian wolf conservation programme, Harenna forest, sanetti plateau, wabe shebelle Goba.